BOSTON (AP) — Following a recount, Lori Trahan on Monday was declared the winner of a razor-close Democratic congressional primary in Massachusetts. 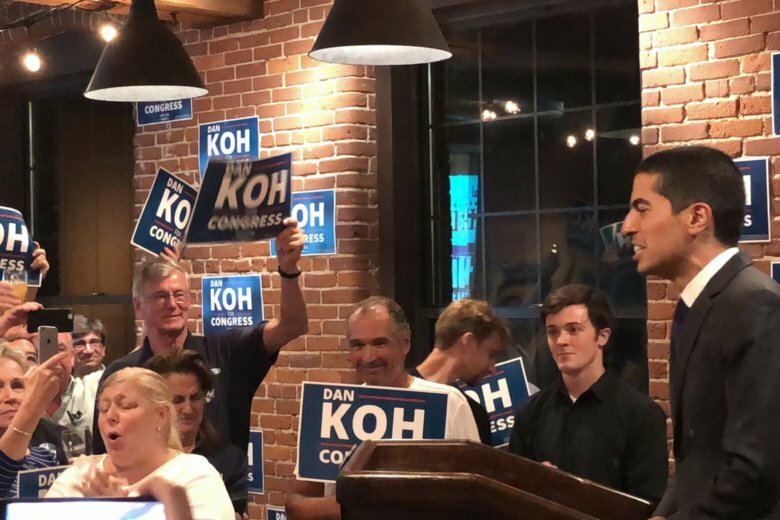 Dan Koh, who finished second in the 10-candidate primary on Sept. 4, conceded defeat as the recount in the 37 cities and towns in Massachusetts’ 3rd Congressional District came to a close — with Trahan adding slightly to her narrow margin of victory. Trahan, a small business owner who served as chief of staff to former Congressman and current University of Massachusetts President Marty Meehan, will face Republican Rick Green and independent candidate Mike Mullen in the November election. U.S. Rep. Niki Tsongas, who has represented the district for more than a decade, is not seeking re-election. Trahan said Monday that she was proud to officially be the Democratic nominee and thanked Koh for offering his help in the general election campaign. “His campaign stood for many of the values that are important to me, and we will continue to fight for those values together,” she said during a late afternoon news conference. Koh, a former top aide to Boston Mayor Marty Walsh, requested a recount after the initial count showed him trailing Trahan by 122 votes after the 10-way Democratic primary. Trahan finished 145 votes ahead of Koh after the recount, according to Secretary of State William Galvin’s office. The office would immediately begin printing absentee ballots for the fall election, which will be available starting later this week, a spokeswoman for Galvin said. Green, a business owner who was unopposed in the GOP primary, congratulated Trahan on her win and said he looked forward to debating issues that affect residents of the district. “For the last year, I’ve seen firsthand the infrastructure issues our district faces. I have heard the heart breaking stories of those suffering from opiate addiction, and I’ve spoken to families who are tired of Washington squabbling at the expense of their communities,” said Green, who co-founded the conservative Massachusetts Fiscal Alliance, in a statement. The district includes the Merrimack Valley cities of Lawrence, Lowell and Haverhill, as well as the central Massachusetts cities of Fitchburg and Gardner, and the historic town of Concord.